Our championship may come on Father's Day. I could think of no more appropriate day for Cleveland to end its 52-year drought of a championship in any major sport. I think of all of the time spent with my dad — glued to the TV, at the games and discussing our teams. I think of my Grandpa Stevens and his love of sports — perhaps only surpassed by my Grandma Stevens' love of the Tribe. We have put lifetimes into this. As I ponder the many possibilities that may unfold tomorrow, I conclude this: It's a win-win situation. If the Cavs win their third straight game against the mighty Golden State Warriors, they will have an NBA championship! If they lose, then another huge piece of Cleveland sports pain will be added to our sports mythology Jenga. At this point, some championships will have been so ridiculously close that there is value in that. But at this point, the mythology of Cleveland sports pain is a tall, shaky Jenga tower that is bound to fall. Time can topple the tower. Our fans' devotion to these teams should help topple the tower. Heck, LeBron James may do it tomorrow! Of course, we must put all of this in perspective. This is professional sports we're talking about. Does it matter in the big scheme of life? My answer: Heck, yeah, it matters! This does not solve world hunger, reverse global warming, end terrorism or give an education to Donald Trump on foreign policy. But pro sports does bring people together, create conversations and, in the case of the NBA, put on display the world's best athletes. Part of me wants to be there like my mom was. But I will not be flying to Golden State to be there when it might happen tomorrow. That idea crossed my mind. I will not be flying back to Cleveland. That crossed my mind, too. I will be celebrating Father's Day with my daughters, fiancee and Game 7 of the NBA Finals. My father will be with me in spirit. My grandparents will be with me in spirit. My extended family will be with me via text, phone and FaceTime. Whatever happens, happens. 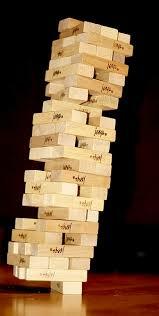 The Jenga tower of Cleveland sports pain is bound to topple. Best Lawn Mowers - Top-to-bottom attention to detail. Toro's engineers designed a mower that suits a variety of users and mowing conditions. Leave the bag on the mower and switch between mulching and bagging with the flip of a lever near the rear wheel. Mow at your own pace by simply pushing more firmly against the handle, which slides forward and makes the mower go faster. Back off the pressure to slow down. Other features combine to make this a value-packed product: a fitting where you can attach a garden hose for washing the underside of the deck, and a three-year warranty that covers the mower's drive system and ease-of-start capability.